David Ortiz: In The Moment offers baseball fans in and around “Red Sox Nation” a close-up look at the life and accomplishments of one of sport’s most colorful, thoughtful and productive stars, David Ortiz of The Boston Red Sox. 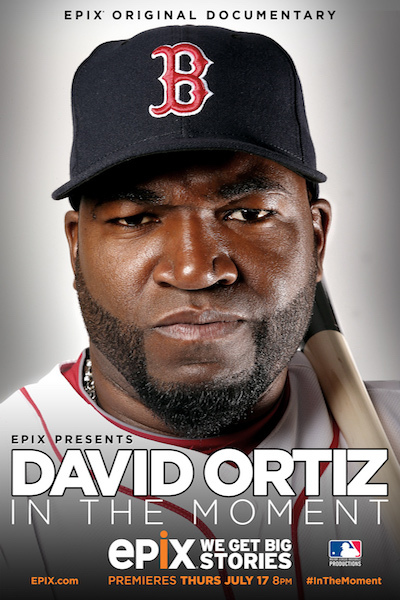 The special, produced by Relativity Sports in conjunction with Major League Baseball Productions, traces Ortiz’s path from The Dominican Republic to stardom and lets us into “Big Papi’s” world. The documentary follows the nine-time MLB All-Star, three-time World Series champion and Red Sox legend during two of his many seasons, including Boston’s championship run and the drama on and off the field that the nation witnessed throughout a very emotional run to the title for both the city and the club.